Hard drives are home to store all our important files like photos, videos, documents, etc. Losing such important files from the hard drive can put you in deep trouble. This article provides you with a series of checklists on important steps to be followed when you have lost files on hard drive. Also guides you to easily recover files from hard drive. 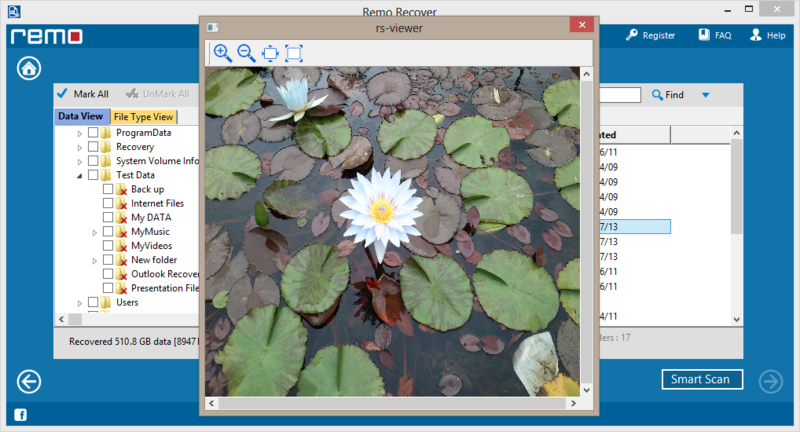 Remo Recover is an award-winning data recovery software to recover files from hard drive. 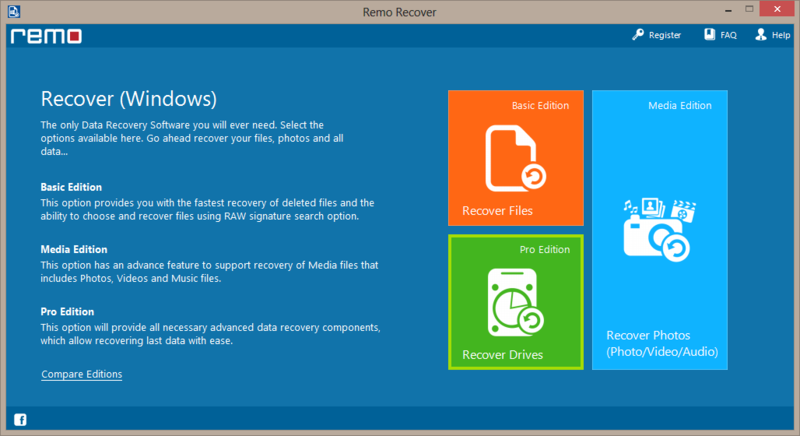 Download Remo Recover the most trusted and tried solution to recover files from hard drive for free. This is the first indication from your computer about hard drive corruption. The causes of this indication can be a malware infection or a virus attack which can make all your important files on hard drive disappear or inaccessible. Various error messages pop up when you try to access any files on hard drive. One of the most common error message you come across is The file or directory is corrupted and unreadable. Corruption to Master File Table results in displaying of this error message. when you try to access files in the hard drive. These are some of the common indications of a corrupt hard drive and causes behind them. If you are facing any of the above-mentioned symptoms here is a quick solution to fix your corrupted hard drive. Command chkdsk [f]: /f /r, where [f] stands for the hard drive letter that needs to be scanned. A successful check disk scan can fix your corrupted hard drive and also help you recover files from hard drive. When CHKDSK command is executed, it looks for bad sectors and moves the data on faulty sectors to free space on the hard drive. In case of lost data scenarios, the free space used for accommodating data on bad sectors might still have recoverable data and they might get overwritten. As a result this will lead to permanent data loss. Due to the high risk involved, it would be better to opt for a trusted data recovery software like Remo Recover if you wish to safely recover data. This is one of the common indications of an unbootable hard drive. This happens when your computer fails to find any proper device to boot. Therefore results in booting to BIOS every time you start your computer. This is a common indication of an unbootable hard drive. This mostly happens due to incorrect boot sequence order in BIOS. When you start your computer, BIOS tries to find a drive in accordance to its boot device order. An incorrect boot sequence order will make your computer try to boot a drive or disk with a higher priority and displays an error message. iv) Save the settings and restart your computer. The data cables used with hard drives are prone to get damaged with time. Also a damaged cable fails to establish a connection between hard drive and the computer. Hence check your unbootable hard drive with a new set of data cables. This will certainly fix your unbootable hard drive if faulty data cables are the reason behind it. If you fail to fix the unbootable hard drive with the above fixes. It is recommended to make use of reliable hard drive recovery software to recover files from hard drive. 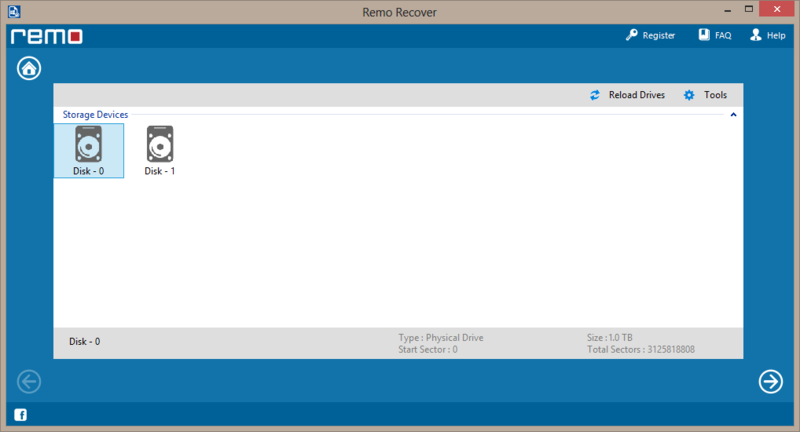 Remo software is built with a caliber to completely recover files from hard drive.With a deep scan algorithm, all the files are scanned and located from every sector of the unbootable hard drive and give you a fulfilling data recovery experience. Step 5: Preview the files before saving them on to the desired location. This is a common scenario for a regular computer user using the hard drive for a long period. It is important to know that this is an indication of a hard drive crash and taking backup will prevent data loss. This is result of running too many programs at a time, resulting in overheating and damaging the hard drive. There are various reasons behind the clicking noise from your laptop or computer.This can be mainly due to bad sectors and blocks on hard drive. This is an indication of an impending hard drive crash where taking backup of the data is the first thing you need to do. When your hard drive is crashed or damaged it directly affects the performance of your hard drive. The time taken to load files or open any application will be too long. The frequent crashing of programs is one symptom of an impending hard drive crash. How to fix and recover files from crashed hard drive? Physical hard drive crash: This happens due to the malfunction of the hard drive components. Many external factors like power surges and overheating contribute to this issue. Common indications of the physical hard drive crash are clicking or grinding sound. Trying to fix the physically damaged hard drive will make it more vulnerable to complete failure. For instance taking back up of files from hard drive is good when you see the symptoms of a physical hard drive crash. Therefore this is one important step that you take in order to avoid losing your important files permanently. Logical hard drive crash: This is easy to diagnose hard drive crash where the physical parts of the hard drive are working fine, but your operating system fails to locate your hard drive or files stored on hard drive. To fix the logical hard drive crash you should first recover files from hard drive to another device and then format the hard drive. Further more to recover files from hard drive to another device you will need a trusted hard drive recovery software. 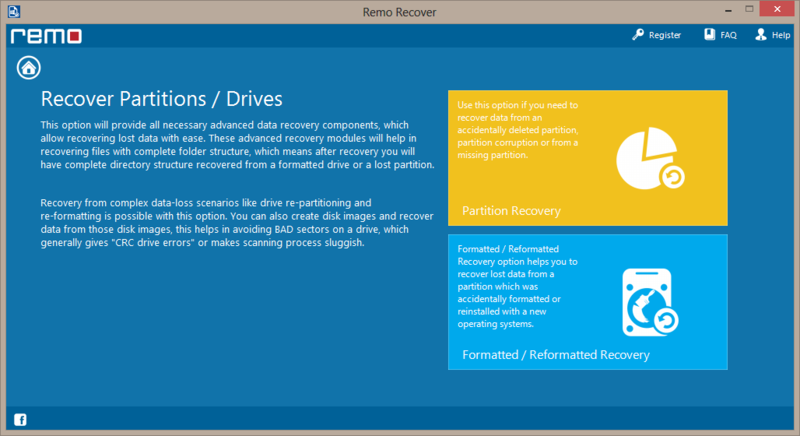 Remo Recover is your quickest way to recover files from hard drive. With a powerful deep scan algorithm the software recognizes and recovers more than 300 file types. Be it corrupted, unbootable or a crashed hard drive, Remo hard drive recovery software works seamlessly to safely recover files from hard drive. As mentioned in the above article there are multiple factors causing file loss in the hard drive. Take a regular backup of the data to avoid losing files. 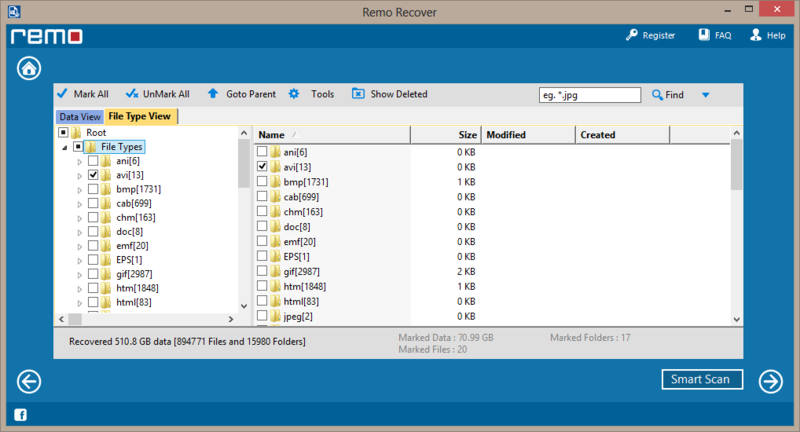 However when you have no backup of the data or if you accidentally deleted files from the hard drive, you can always make use of Remo hard recovery software. Do let us know your thoughts on recovering files from hard drive in the comments below. How to Change an Operating System Boot Order?